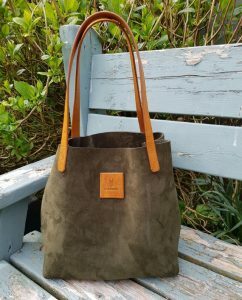 This listing is for the “Gráinne” leather tote in suede green with brandy strap set. 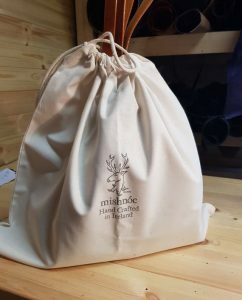 The main body of the bag measures 43cm x 30cm x 18cm. Inside there is a zipped detachable leather pouch measuring 31cm x 17cm x 10cm. 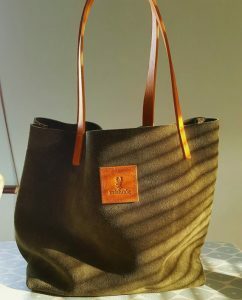 The bags design was chosen for it’s hang properties allowing the bag to be worn as an elegant shopper. For those who like more structure we include a detachable leather floor in the bag. I have just received a Grainne for a very ‘big’ birthday. Had coveted when we were in Galway in the summer. Family say the staff they dealt with by phone in store were friendly and accommodating and it arrived on time. The bag is superb. Beautiful suede and wonderful quality. Packaging also extra special. I will be using it constantly. Thank you.